The Sydney Eisteddfod recently announced its finalists for its 2018 Dance of Champions. 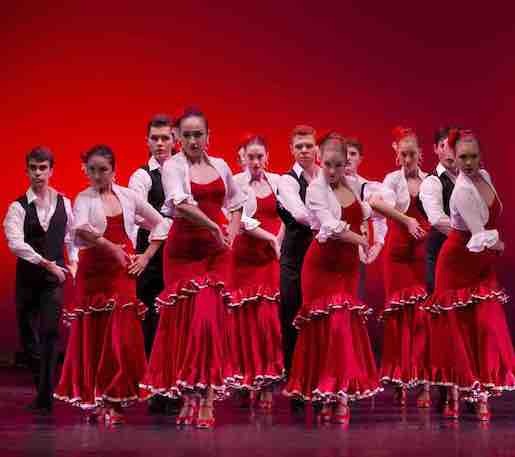 The 17 dance groups were selected from across this year's events. These finalists will compete at 2:30 p.m. on Sunday, September 23 at the Science Theatre, UNSW. In the Final, they’ll each try to claim their share of the prizes on offer, including the Jury and People's Choice Awards. Brent Street has announced its Main Auditions for its Sydney and Gold Coast courses in 2019! 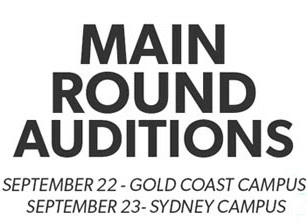 The Main Audition for Full-Time 2019 Gold Coast is on Saturday, September 22. Sydney’s Main Round is on Sunday, September 23. Interested dancers should complete the Audition Application Form by Sunday, September 16. Bundanon Trust’s annual event SITEWORKS returns this spring for its 10th year. Each year SITEWORKS brings together contemporary artists, scientists and environmentalists to respond to a theme. This year the event explores the theme of “Micro”, focusing on the miniature and microscopic. Dancenorth will perform Patrick Nolan’s choreography of the invisible. 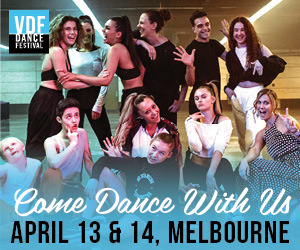 Applications are now open for one of Melbourne's ultimate dance courses! Spectrum Dance offers students the opportunity to excel through specialised teaching techniques whilst focusing on individual student development in a challenging, creative and motivating environment. Offering nationally accredited courses and certificates in Dance and Musical Theatre, Spectrum Dance hosts auditions throughout the year at its studios in Burwood. Queensland Ballet announced last month that it’s set to tour to China later this year for the first time under the artistic directorship of Li Cunxin. The company will perform Liam Scarlett’s A Midsummer Night’s Dream in November, hot on the heels of its Melbourne tour of the same production. Newcastle Ballet Theatre (NBT), situated in the suburb of Cardiff, is already in its seventh year, and within that short time has produced great results, with students entering into many prestigious dance schools. Now NBT is auditioning for 2019 entry to its Full Time Course and Part Time Transitions Program (PTTP). From pure classical to contemporary fusions, the students of The Australian Ballet School will fill the stages of Arts Centre Melbourne’s State Theatre and Canberra Theatre Centre with balletic artistry when they present Showcase 2018. 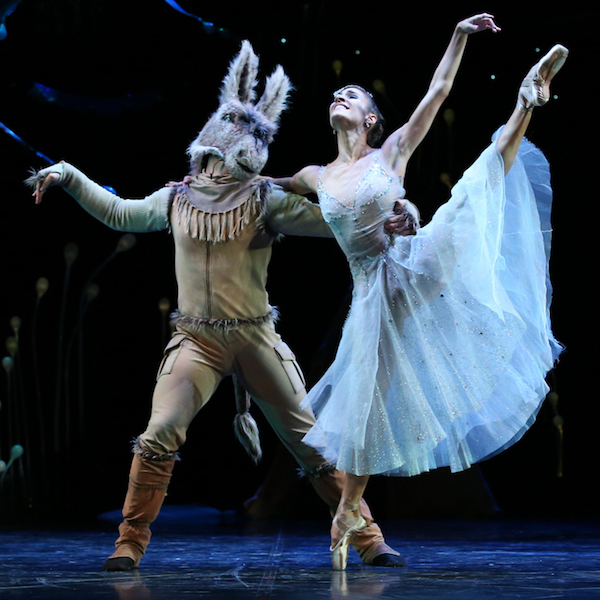 Now a much loved annual tradition, The Australian Ballet School’s end-of-year showcases are dazzling performances demonstrating the outstanding technical skill and talent of its dedicated students. 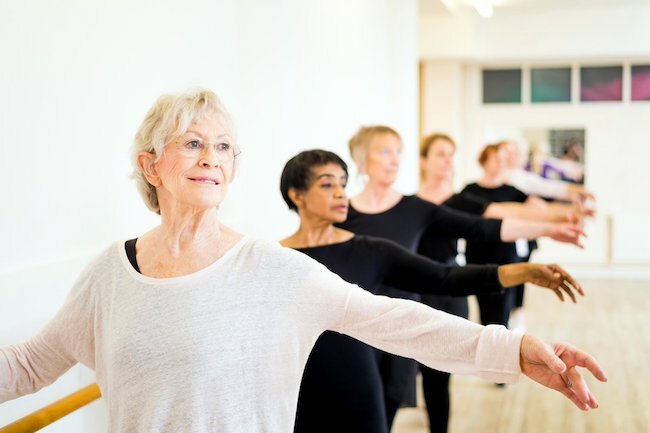 The Royal Academy of Dance (RAD) has announced the official launch of its Silver Swans programme, featuring branded ballet classes created specifically for the over-55s and taught exclusively by Silver Swans Licensees. Fresh from starring in The Boy From Oz in Melbourne, international star of the stage and screen Caroline O’Connor has been named as RAD’s Ambassador for the project. 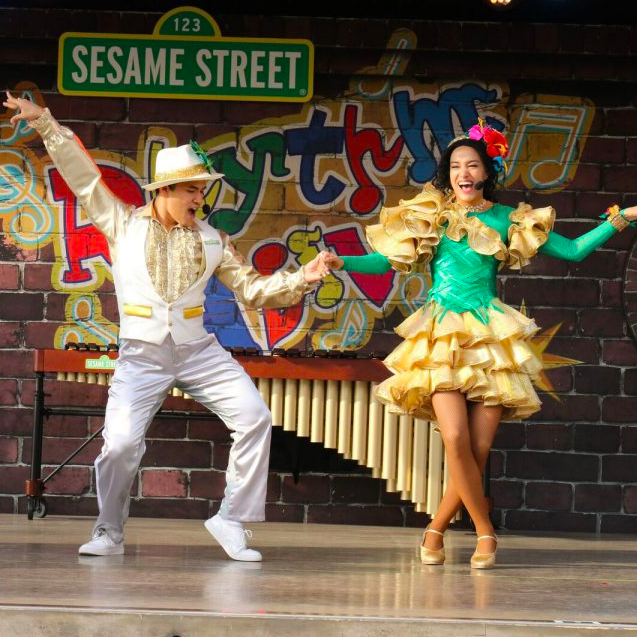 Universal Studios Japan is traveling the globe to find male and female dancers, actors and singers for its shows. Currently touring to cities across the U.S., Universal Studios Japan will soon come to Australia! Australia’s premier celebration of tap dance returns to Melbourne on September 29 – October 6! Now in its seventh edition, the Australian Tap Dance Festival will bring the tap community and public together to learn, share, meet and enjoy all things tap. WAAPA's graduating dancers are set to unleash their choreographic talents this week in a short season of original dance works performed in the intimate setting of the Dolphin Theatre. 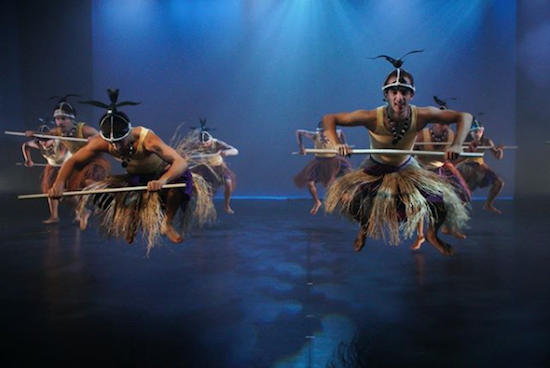 All choreography is set to original music composed by WAAPA's Composition and Music Technology students. 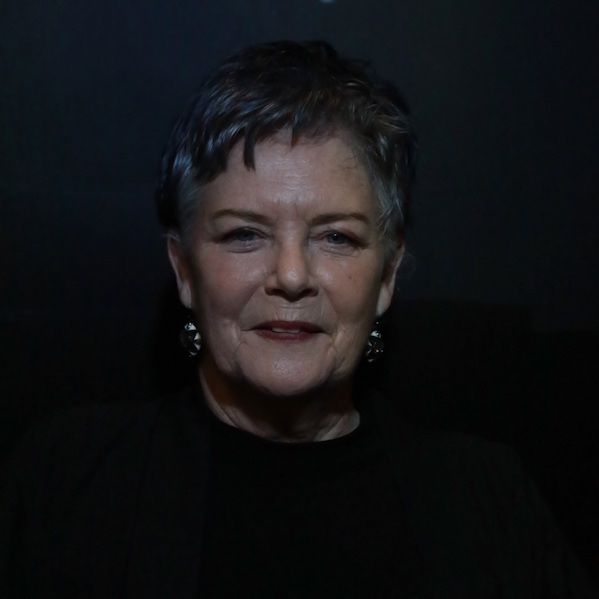 Legendary dancer, choreographer and state living treasure Chrissie Parrott is having her latest and first mainstage work in many years with In-Lore Act II, to be performed by Co3 Australia on September 12-15. Parrott, who started ECU’s LINK Dance Company, will present choreography alongside the innovative trio of Unkempt Dance (Amy Wiseman, Carly Armstrong and Jessica Lewis), who all met at LINK. 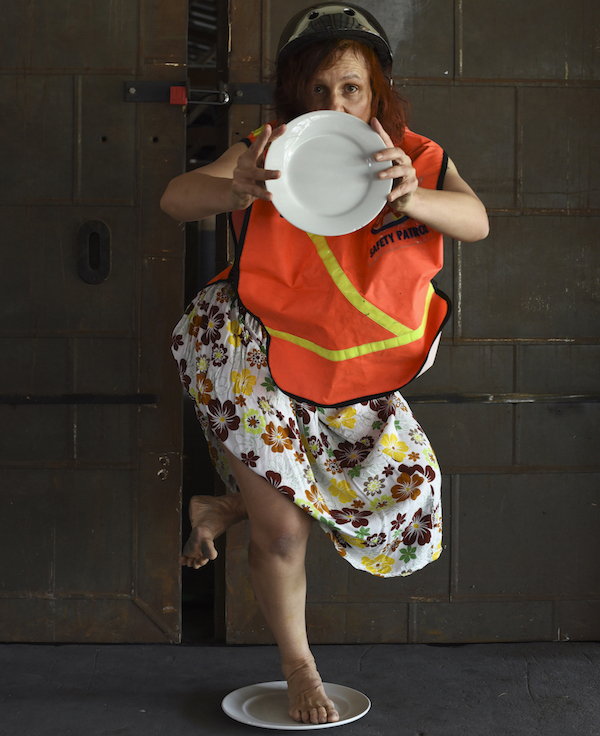 FORM Dance Projects and Riverside Theatres in Parramatta will present a new dance theatre work, plenty serious TALK TALK, by acclaimed Indigenous dancer and choreographer Vicki Van Hout from August 30 to September 1. An explorative work delving into the compulsory community consultative process involved in Indigenous art making, plenty serious TALK TALK lays bare the full complexity of negotiating culture across disciplines, genres and eras. Want full time Russian ballet training in AUS? For Australian students who desire the opportunity to be trained in the true Russian System without having to leave their home country, there is the Russian Choreographic Academy! Based in Hawthorn East, VIC, the RCA brings high-quality international teachers to Australia from Russia and Europe. Auditions are ongoing for 2019 entry to RCA's full time course. AMPA's Open Day is this Saturday! The Academy of Music and Performing Arts (AMPA) in Alexandria, NSW has announced its Open Day on Saturday, August 25. 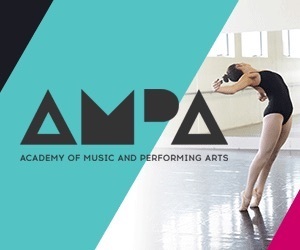 If you or someone you know is an aspiring performer, choreographer or songwriter/producer, this is their opportunity to explore the ins and outs of studying a degree in Music, Dance or Music Theatre at AMPA. 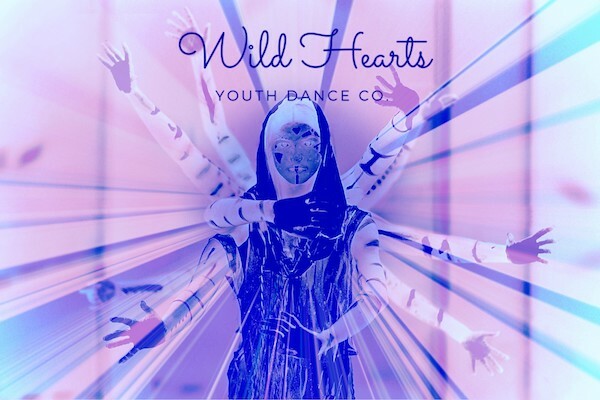 Angela Hamilton, artistic director of Wild Hearts Youth Dance Company in Sydney, has announced the launch of a second program for younger dancers. Auditions are being held for talented and creative dancers aged 8-12 who want to be challenged and inspired. 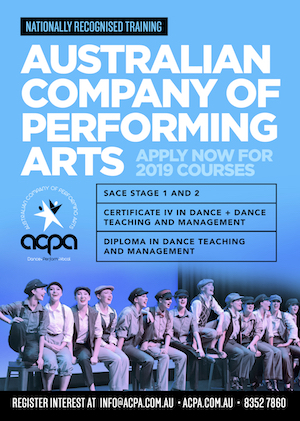 The Western Australian Academy of Performing Arts (WAAPA) offers three Undergraduate Courses, plus two Postgraduate Courses through Link Dance Company. Soon WAAPA will launch its Audition Tour for these courses, giving aspiring students the opportunity to apply for 2019 intake. August 9 marked International Day of the World’s Indigenous Peoples and NAISDA Dance College took the opportunity to commemorate the day, along with the global importance of sustaining and sharing our world’s Indigenous cultures, histories and knowledge. 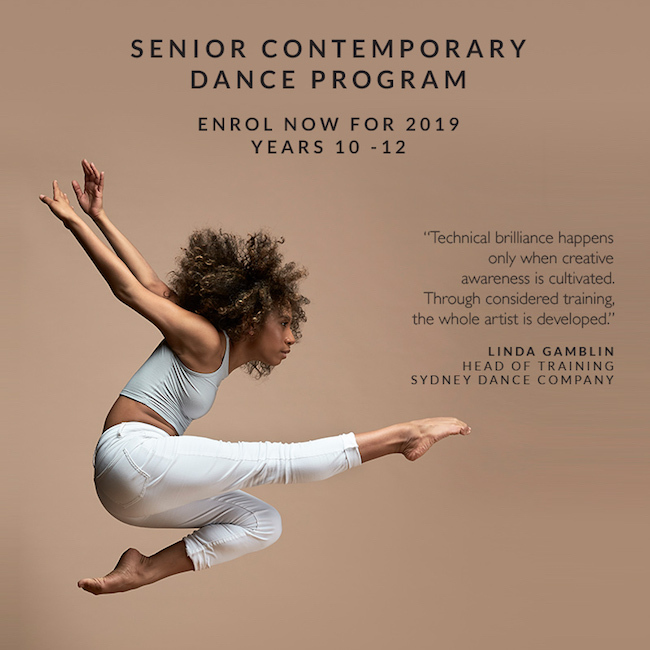 In association with Sydney Dance Company, The McDonald College has just announced the inaugural Senior Contemporary Dance Program. The program is open to students in Years 10 - 12 wishing to develop into creative, forward-thinking contemporary dance artists. Guided by the ethos of Sydney Dance Company, The McDonald College will offer students the opportunity to develop advanced contemporary dance techniques and collaboration skills at the forefront of the industry. 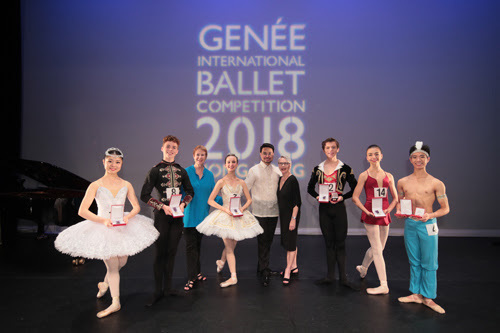 The Royal Academy of Dance has announced the medallists of this year’s prestigious Genée International Ballet Competition, held at Hong Kong City Hall on August 12. After a week of intensive coaching from world-renowned teachers and choreographers, the competitive Final saw the coveted gold medal awarded to 17-year-old Australian dancer Joshua Green and 16-year-old New Zealand dancer Monet Hewitt. Did you know the Victorian State Ballet (VSB) directed by Michelle and Martin Sierra in Viewbank offers a full time training program? 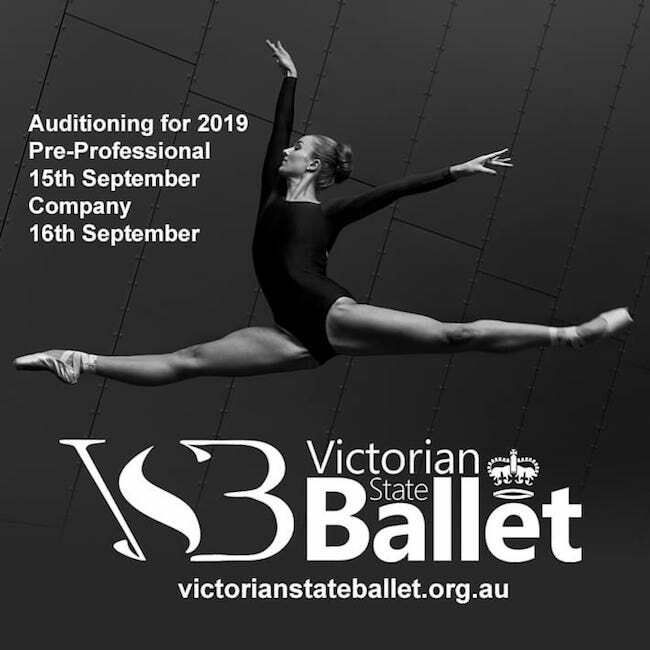 Registrations are now open for the Pre-Professional Program’s 2019 annual auditions! 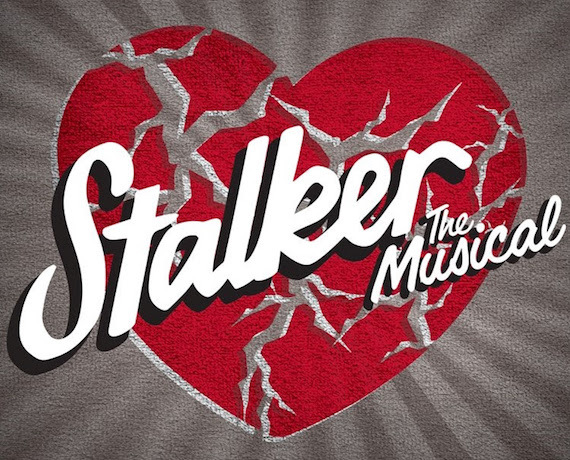 RPG Productions, the team behind last year’s surprise hit Big Fish at Hayes Theatre, will now bring to Sydney the Australian premiere of Stalker: The Musical. This brand-new piece of Australian musical theatre is the brainchild of three Aussie writers: Andy Peterson, Alex Giles and David Russell. Queensland Ballet Academy will begin its audition tour for 2019 intake to its training programs on September 1. Auditions are set for Brisbane, Melbourne and Sydney for various programs. Company auditions will also be held for highly trained, professional level dancers. 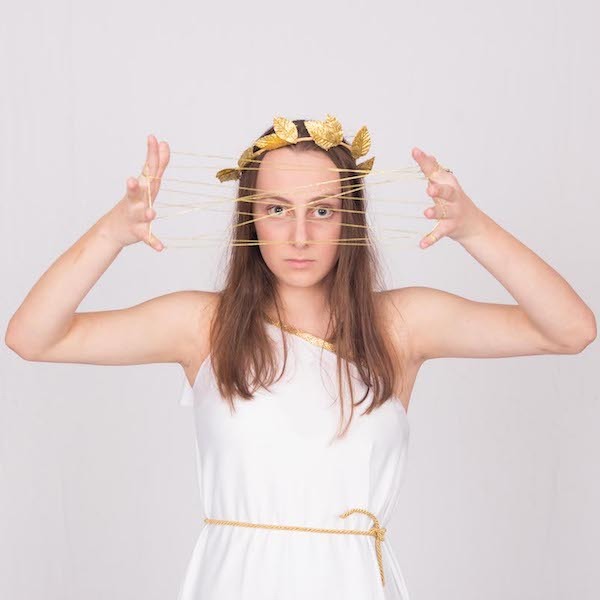 Spark Youth Dance Company Inc., a non-profit dance company driven entirely by youth, is premiering a contemporary dance work entitled Ariadne this September 27 and 28 at Frankston Arts Centre. 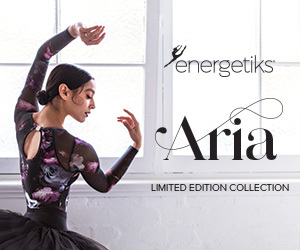 Ariadne, the Greek myth of Theseus and the Minotaur, will be retold from a new perspective, with 23 dancers aged 7-19 and a 35-piece professional orchestra. 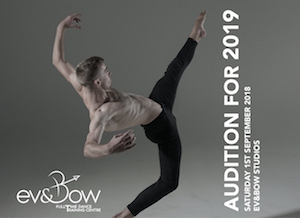 Ev & Bow Full Time Dance Training Centre, set in Kirrawee, NSW, will hold an audition on Saturday, September 1 for 2019 entry to its full time courses. Under the direction of Sarah Boulter and Lisa Bowmer, Ev & Bow has a reputation of supreme quality as the area’s premier studio for innovation, passion and outstanding results. Experience Bram Stoker’s gothic tale of forbidden passion as West Australian Ballet presents the world premiere of Krzysztof Pastor's Dracula alongside West Australian Symphony Orchestra at His Majesty’s Theatre this September. Want to train with Sydney Dance Company? 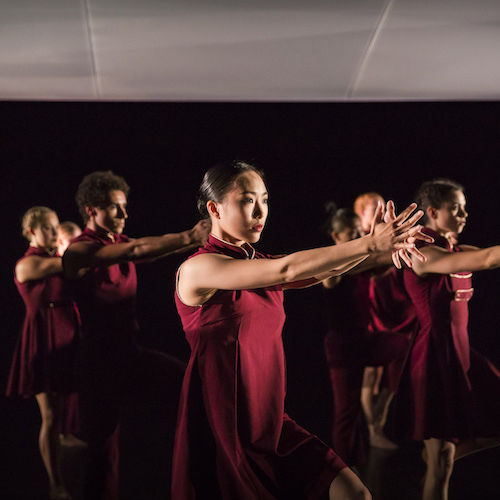 Sydney Dance Company invites applications from Australian and New Zealand dancers wishing to take part in its Pre-Professional Year Program in 2019. Applications are open now through Monday, August 27. All tappers in the Sydney area are invited to a Tap Masterclass led by professional tap dancer, choreographer and teacher Simon Watts from New Zealand. 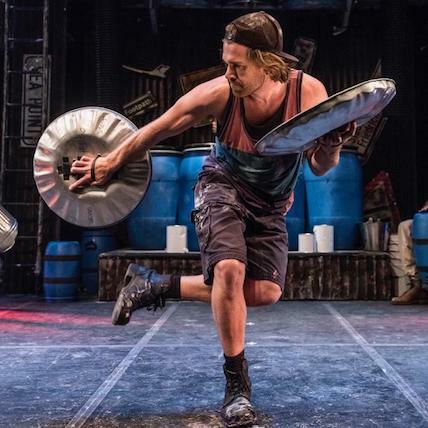 Watts is currently touring in the acclaimed production of STOMP. He has been tap dancing for 20 years and teaching and performing internationally for 10.